I can't fib. I'm really not thrilled at the thought of sitting through yet another Driving Miss Daisy. On the other hand, Theatre Memphis' production, which opens this weekend, has two things going for it, that have me at least somewhat interested. The director, Bo List, tends to do intriguing work. And I'm genuinely curious to see what Jo Lynn Palmer will do with Ms. D.
The place is the Deep South. 1948, just prior to the Civil Rights Movement. Daisy Wertham, a rich, sharp-tongued Jewish widow of seventy-two, is informed by her son that she must now rely on the services of a chauffeur. He hires a thoughtful black man, Hoke, for the job. In a series of absorbing scenes spanning twenty-five years, the two grow ever more dependent on each other despite their mutual differences. It becomes evident that a vestige of her fierce independence and sense of position still remain — but also that they have both come to realize they have more in common than they ever believed possible. On a cool spring night Opera Memphis and members of the Memphis Symphony Orchestra presented outtakes from Puccini's Madame Butterfly at the Levitt Shell in Overton Park. It was Michael Ching's last public performance as Opera Memphis' Artistic Director. This is what it looked and sounded like. Memphis-born playwright Katori Hall is receiving lots of love across The Pond. Her play The Mountaintop was honored at the Olivier Awards as the best new dramatic work of 2010. Katori Hall's surprise win at the Oliviers last night is a big moment for black theatre. Set in civil rights-era black America, the 28-year-old's play The Mountaintop beat heavy-hitters Enron and Jerusalem to the best new play award. The playwright's victory should, as Michael Billington says, provide "a significant boost to black playwrights" — and open the doors a little wider for those trying to sustain a career in theatre. Although Hall was born in Memphis, her play was made in the UK, starting its life at Theatre503 in Battersea, south London. Hall's work has been receiving favorable notices in the New York press for some time. Her previous efforts include Saturday Night/Sunday Morning,The Hope Well, and Hurt Village, a play about a soldier from Memphis returning from the conflict in Iraq and discovering his childhood home, the once infamous housing project called Hurt Village, has been torn down and replaced with more upscale housing. This week's Jacques Brel review contained not one, not five, but two (count them) two errors that need to be corrected. 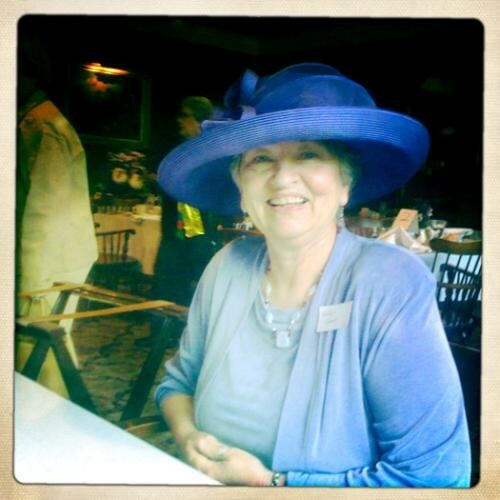 The photo is of Esther Gray not Laura Stracko. And "Ne Me Quitte Pas" is beautifully sung by Renee Kemper not by Nicole Renee Hale. Free Opera at the band shell in Overton Park! How cool is this? Things get underway at 7:00 p.m. When you've got a show like Jacques Brel is Alive & Well & Living in Paris where performers can simply be themselves and develop a personal relationship with each audience I can't imagine why someone would choose to throw up a fourth wall* and try to impose characters and a narrative. But that's what's happened with this Circuit Playhouse production and I've got mixed feelings about it. When it's good it's very good. When it's bad it's usually the result of trying to make something very simple harder than it has to be. *Yes, there can be a functional fourth wall even with audience members seated onstage. Ashley Wieronski has grown up on Memphis stages having performed in shows ranging from Annie to Little Shop of Horrors. She appeared as "the Bad Seed" in Ruthless, one of my all time favorite musicals. And now she's the winner of the FOX13 Glee Casting Call Contest. That means Ashley is guaranteed to have her submission seen by a Glee Casting Director significantly increasing her chance of becoming one of the newest cast members on the hit show. Ashley pulled in 78,000 of the 300,000 online votes. Around these parts Harold Pinter's menacing comedies are performed infrequently and fans will want to catch New Moon's flawed but watchable and clearly well-intentioned take on The Homecoming, a show where the best performers could use a metronome and the worst could use a clue. There are few voices in the history of recorded music that have moved me like Mahalia Jackson's and I'd love nothing more than to be swaying in the aisle at The Hattiloo Theatre's production of Mahalia, which opens this weekend. This isn't the first time the Hattiloo has performed this gospel musical and the show has a reputation for selling out fast. As much as I'd like to be in that number, I suspect I'll probably be hauling my 7-year-old twins out to Germantown to take in GCT's production of the children's classic Charlotte's Web. You see the wife's name is Charlotte, her mother's name is Charlotte and the first born twin is also Charlotte. So there doesn't seem to be any getting around this. UPDATE: In an unexpected turn of events the weekend turned out completely differently. I took in Harold Pinter's The Homecoming at TheatreWorks. More on that shortly. I'd love to hear from folks who've seen Mahalia or Charlotte's Web. Can I has le Royale with Cheese? Jacques Brel's funny, touching, and occasionally disturbing songs are like dark, glittering gems in the hands of performers like Mike Detroit, David Foster and Laura Stracko but it's not hard to imagine the show's mercifully deceased namesake mocking Circuit Playhouse's wildly inconsistent production, which is so garishly "French bohemian" it should be called Le Rent. This is much nicer than a ketchup stain. I'm serious. So that empty space above the couch... You know, with the ketchup stain. Or at least I hope it's a ketchup stain. You should really think about covering that up with a nice piece of art sometime. Like this weekend maybe. And as it happens Playhouse on the Square is hosting its 33rd annual original art auction on Saturday, April 17th so there are deals to be had. The Live Auction begins at 6:30 p.m. and that's when the Silent Auction, which opens at 10:00 am, closes. Boy howdy, that was a weird sentence. I promise to do better. Complimentary hors d'oeuvres—described as "artsy" in the press — will be available for your snacking pleasure. Beverages will flow throughout the auction to aid in your appreciation of the work. Admission is $25 at the door but that amount is deducted from the price of any art you may buy. So join the "pARTy" at the all new Playhouse on the Square. And cover up that nastiness already. Look at all this freakin' art! For more information call 901-725-0776. The Wiseguys improv comedy troupe will be hanging at Zinnie's Full Moon Club on Saturday, April 17 and performing its conceivably hilarious show "Storytellers Unplugged." Nothing weird about that right? But get this. Kerry Crawford-Trisler, the wilting homebody also known as the "I Love Memphis Girl," will also be in attendance. And word has it she'll be doing her best to horn in on all the hot comedy action. True story. Anyway, the Intermission Impossible crew—meaning me—was curious as to why someone who never goes anywhere interesting or does anything exciting would want stand up in front of people and try to make them laugh. That's why we asked Kerry if she'd like to play a little game called Three Questions. She said "sure" so here goes. Intermission Impossible: Are you funny? Kerry Crawford-Trisler: I've been told I'm funny, and funny lookin'. Okay I guess. Can you maybe say something funny right now? Just to show us that you can? Kerry Crawford-Trisler: If you were here, I could play "You Shook Me All Night Long" on my ukulele. It's not a particularly funny song, but the raunchy lyrics coupled with my tiny girl voice tends to make people giggle. Actually You Shook Me All Night Long reminds me of riding the Himalaya at the Midsouth Fair and riding the Himalaya at the Midsouth Fair always made me throw up. But thanks. Last question: How did you hook up with a bunch of clowns like the Wiseguys? Kerry Crawford-Trisler: They invited me to do "Storytellers Unplugged," and I rarely say no. Sometimes, I probably should. 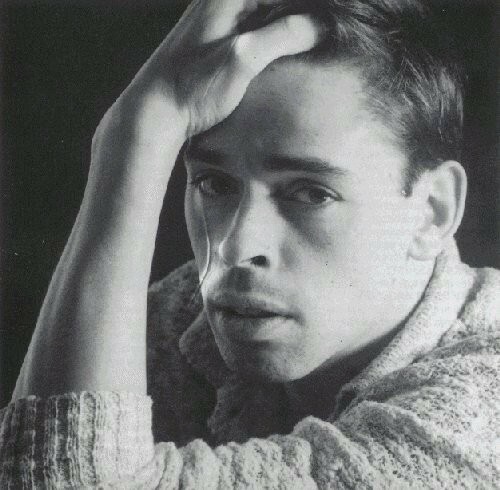 I'm not sure how long it's been exactly since Jacques Brel is Alive and Well and Living in Paris last played on a Memphis stage. I'm not certain that I want to know because knowing will make me feel like a fossil. It has to have been 20 years. It was last seen at Circuit Playhouse where it's being revived beginning this weekend. The last production opened sometime in the early 90's and featured the great Jim Ostrander performing alongside a newcomer named Michael Detroit. At least that's how things were supposed to happen. I'd recently formed a small theater company with the show's director Sidney Lynch and had agreed to sit in on rehearsals as her extra set of eyes and ears. It was a silly proposition really because I knew very little about Brel at the time and had no idea what to expect. I certainly didn't anticipate being so completely devastated by what I heard. I honestly don't think I'd been so high on language and rhythm since Shakespeare was first poured down my throat. Shortly before that production was scheduled to open Mike became seriously ill and it was clear he couldn't go on. Sidney looked at me and I held my hands up in surrender. I wasn't that kind of singer and even if I was there was no way I could learn all those amazing songs so quickly. Calls were made, drinks were drunk and hands were wrung. That's when Jim Ostrander did the most amazing thing I've ever seen. He told Sidney not to worry. He'd done the show before and knew every note. He could sing Michael's songs too. And so he did. It was a superhuman effort and I must have watched him do it ten times at least. It's not just one of my favorite shows it's one of my favorite memories. That's why I am so pleased to present right here in one epic blog post every damn song from Jacques Brel is Alive & Well and Living in Paris as performed by Dusty Springfield, Ray Charles, David Bowie, The Dresden Dolls, Marlene Dietrich, Marc Almond and of course, Jacques Brel. Annotated for your pleasure. There's nothing that pleases me more than finding unique art in unexpected places. That's exactly what happened last week when I attended a lunch meeting of The Memphis Storytellers' League which has been active in the Bluff City for more than 80-years. It was originally conceived as an all female club for the Memphis elite but has become more egalitarian over the years. The storytellers meet once a month with one purpose only: to read three short stories aloud. By describing the storytellers' readings as "unique art" I don't mean to imply that the league is carrying on some extraordinary literary tradition. In fact there's no trace of snobbishness at an STL meeting. The writing certainly isn't what one might call ambitious. The tales— original autobiographical creations and popular favorites alike— are submitted simply because they brought pleasure to someone in the club. And so the group's extensive archive functions as a kind of secret, sentimental history of Memphis, passed down from one generation to the next. To attend a meeting of the Memphis Storytellers' League is to step back in time to a quaint world where ladies wear fancy hats and everyone is uncommonly civil. The unadorned performances are a charming, unpretentious example of what we talk about when we talk about the relationship between art and community. Whether you're interested in sweet stories about Easter bonnets or not, there's an awful lot of emotional history collected here. Click on to see a short video from the Storytellers' lunch at Jim's Place. I had the great good pleasure to know and even occasionally work with Leonard Frey, a man whose many accomplishments defy easy description. He was an actor, educator, scholar, and a gentleman. And I cherish the time we got to spend on stage together, particularly in Germantown Community Theatre's production of Shakespeare's Taming of the Shrew. We lost Leonard last week. I was going to cobble together an obit today when I saw this tribute by my friend and co-worker Mary Helen Randall. It's more personal and revealing than anything I could have assembled so I thought I'd share.